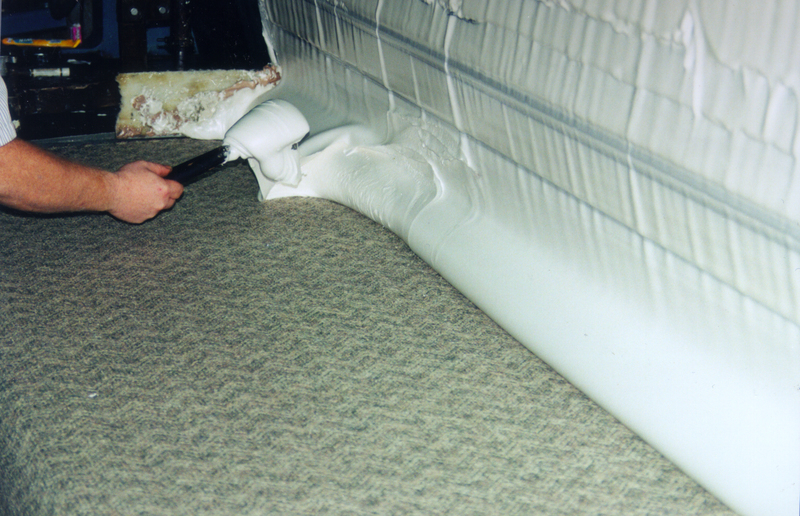 A soy-based sound reducing liquid underlayment patch and leveler that can be used for all floating floor systems including vinyl, laminate and wood. High-performance, eco-friendly carpet backings are recommended for high- and mid-range traffic environments, including government, commercial, education, retail and synthetic applications. 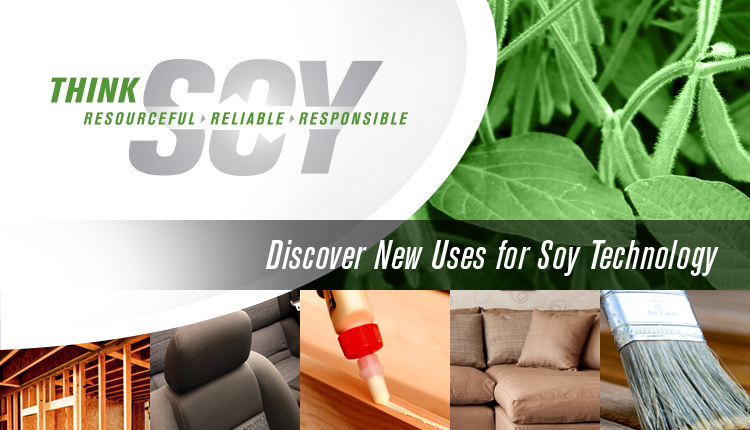 Incorporates soybean oil as a replacement in a portion of the chemistry used in making polyurethane carpet backings. A commercial/hospitality carpet cushion made of 100 percent premium high-density polyurethane foam from soy polyols. It may be used for double glue or stretch-in installations. Environmentally-safe, Dynathane exceeds EPA carpet VOC emissions requirements. It contains no formaldehyde, styrene, BHT (butylated hydroxyl toluene), or 4 PC (phenylcyclohexene). It’s nonallergenic, odorless NEW FRESH® anti-microbial treatment resists mold, mildew and bacteria. Dynathane contributes to LEED project certification. It reduces noise levels and fatigue and is suitable for use with radiant heat flooring systems. Dynathane provides excellent resiliency, longer carpet life and appearance retention. The company guarantees its performance. Made of 100 percent high-density polyurethane foam using soy polyols. Made of 100 percent high-density polyurethane foam, using soybean polyols, this underlay helps reduce sound transmission. An underlayment for floating, glue down and nail down wood and laminate installations with a moisture barrier film. Made of 100 percent high-density polyurethane foam using soy polyols. It eliminates minor subfloor imperfections and offers the industry’s best limited lifetime warranty. Eco Ultimate is suitable for radiant heat flooring systems. This floor underlay is made of 100 percent high-density polyurethane foam using soybean polyols. Carpets backed with EnviorCel™ polyurethane backing systems for commercial carpet. Contains recycled, recovered and renewable materials that are 60 percent to 70 percent biobased by backing weight. EnviroCel replaces large percentages of the petroleum-based components in the polyurethane with biobased polyols made from soybean oil. 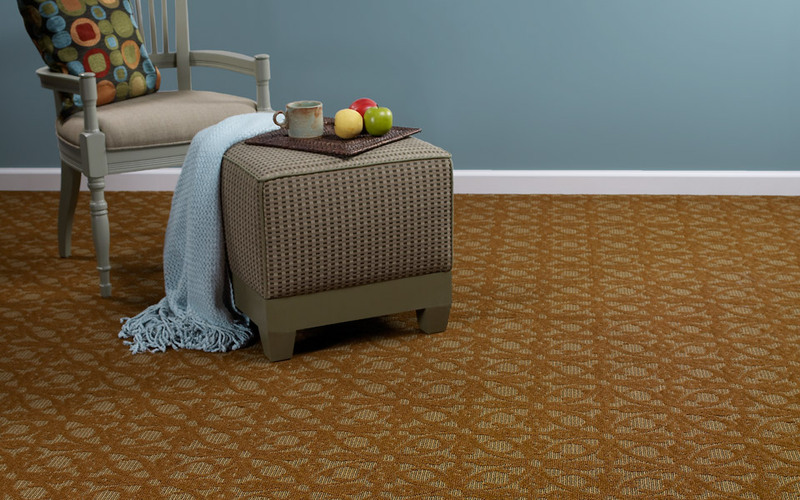 All Signature Accord carpet is manufactured to commercial specifications using solution-dyed nylon yarn and have a bio-based high-performance backing. “The Yellowstone Collection” has the highest pre-consumer/post-industrial-recycle content in the industry. Signature products all come standard with BioCel™ Laminate, developed by Universal Textile Technologies. Combines the very best noise reduction, moisture barriers, antimicrobial protection, rolling traffic and performance. BioCel™ is manufactured with a minimum of 70% recycled content. Suitable for all glue down and floating LVT and vinyl plank flooring installations, this underlayment offer support, moisture protection and sound absorption. It is made with high-density polyurethane foam using soy polyols. The company says It exceeds air quality and flammability standards and is 100 percent recyclable and environmentally friendly. The product is made of 100 percent high-density polyurethane foam using soy polyols. This underlay helps maintain serenity with its 100 percent soy-based polyurethane foam content. This underlay provides a soft, lush feel that lasts. It replaces unpleasantly firm carpet cushions. Double moisture barriers protect the cushion from moisture. Triple antimicrobial protection makes this cushion a great choice to use in the homes of people with sensitive immune systems. Ultra Touch uses soy polyols which make it eligible for LEED credit MR 6. Its low volatile organic contents (VOCs) make it also eligible for LEEP credit EQ 4.3.